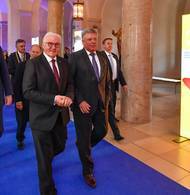 German Federal President Frank-Walter Steinmeier addressed the 1200 invited guests at Munich's Residenz palace on the occasion of the 150th anniversary celebration of the founding of Technical University of Munich (TUM). 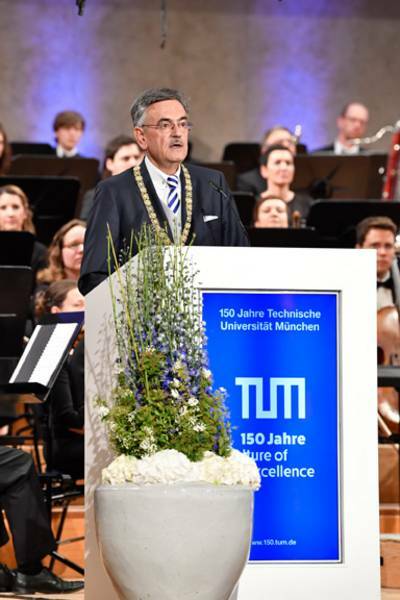 He called for courage in shaping the future and pointed to the potential exemplary role of TUM with its "passion for the future". 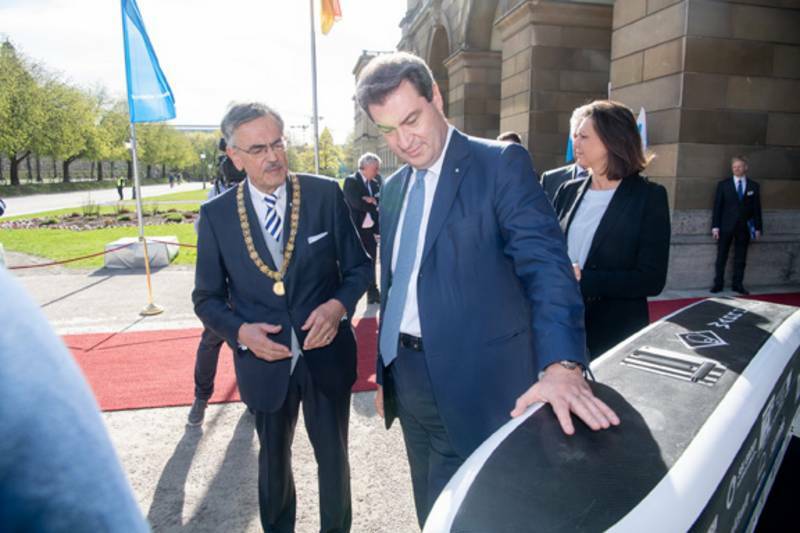 The Bavarian Minister President Dr. Markus Söder highlighted the importance of TUM for Bavaria as an attractive research and business location. 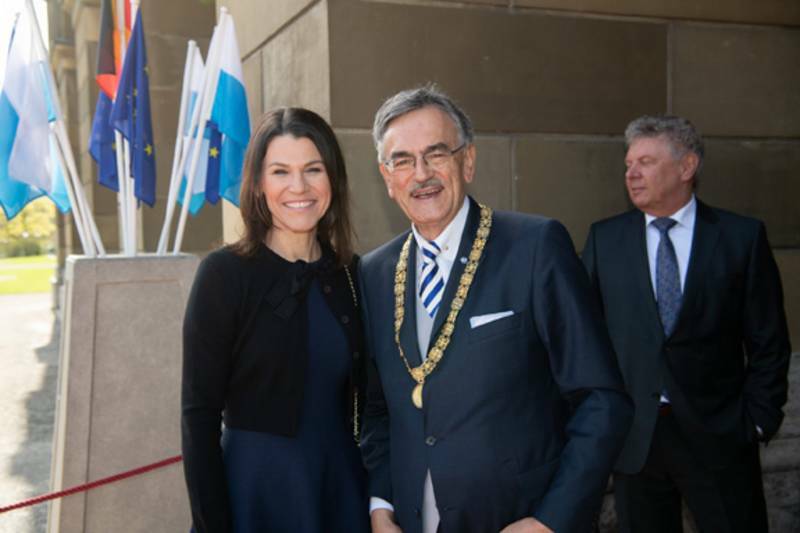 The ceremony was broadcast live by Bavarian television. 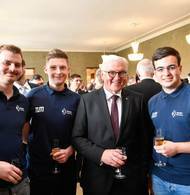 Federal President Frank-Walter Steinmeier described the Technical Universities as the flagship of Germany and referred to TUM as the flagship of the Technical Universities. 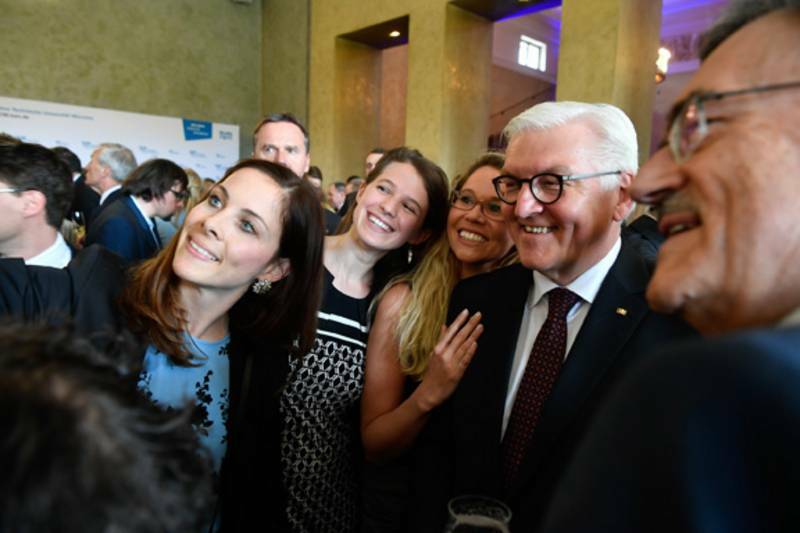 "We can be the nation where so many individuals like you look to the future, experiment and engage," Steinmeier said to the students and researchers in attendance at Munich's Residenz palace (the whole celebration online). "We can also be the nation in which society as a whole has the courage to jointly conceive and shape the future. This is exactly what I would like to see our country be: A country with a passion for the future! 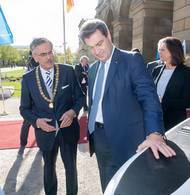 And this passion for the future is clearly evident here at the TUM." 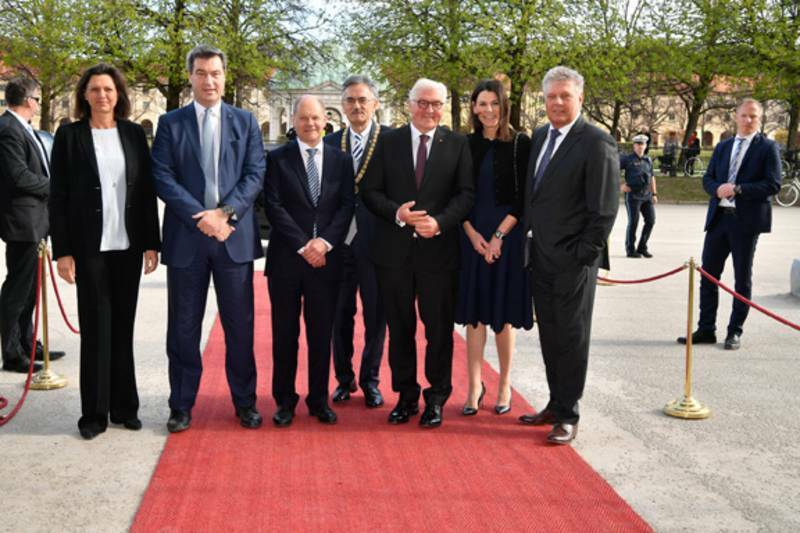 At the same time the Federal President reminded the audience of the societal responsibility of the sciences in the context of drastic technological transformations. 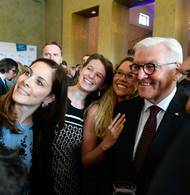 "People's trust in the positive impact of technological progress is essential to a country like Germany – poor in natural resources and abundantly rich in ideas." He added that this trust has to be treated with care and regained again and again. "In order to achieve this, people have to be given the toolset needed to remain competent and entitled citizens, even in times of new technologies and digital transformation." 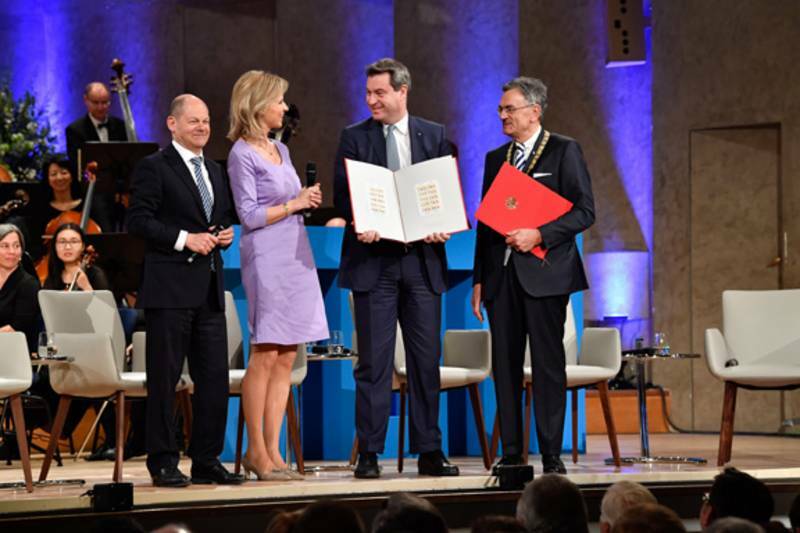 Bavarian Minister President Dr. Markus Söder: "As an elite university and recipient of many awards and honors, the Technical University of Munich is an internationally and extremely well-respected scientific ambassador of the State of Bavaria. 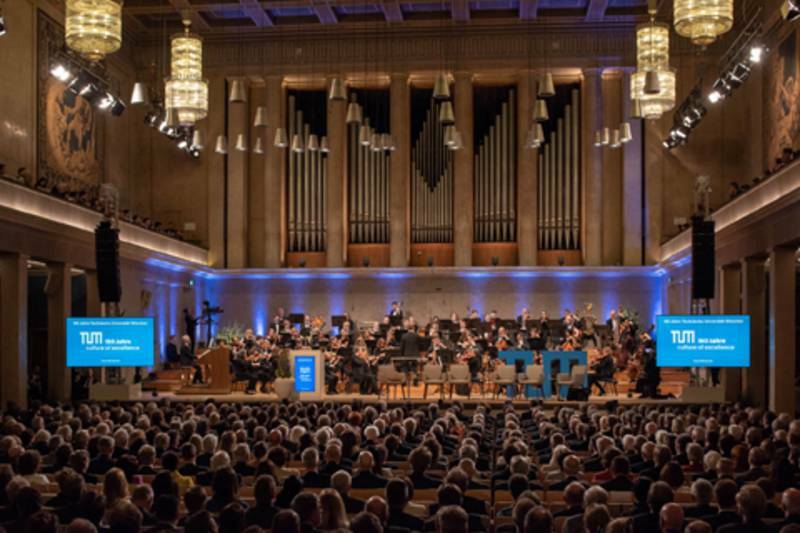 Numerous Nobel laureates have conducted research here, their students are in high demand and many companies benefit from the innovative power of TUM. 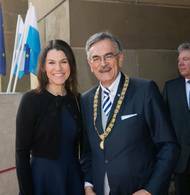 The first-rate interaction between research and business is a cornerstone of Bavaria's modernity and success." 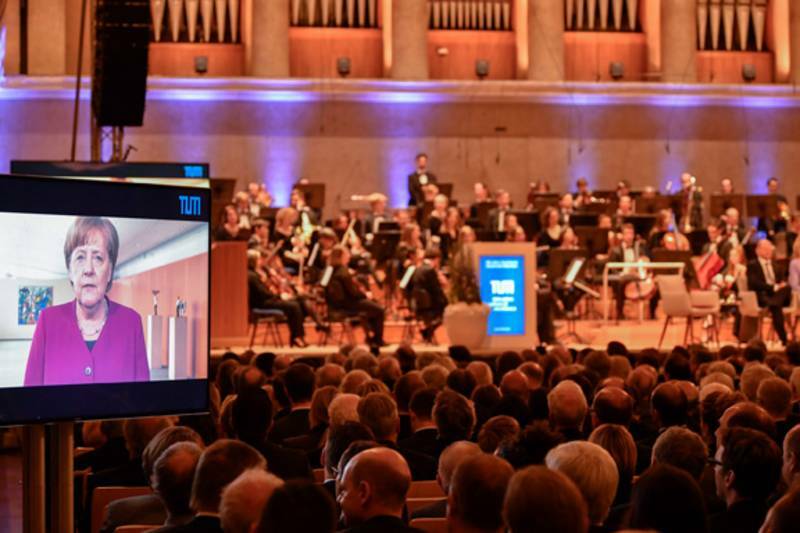 "Connecting the home with the world"
TUM President Prof. Wolfgang A. Herrmann highlighted TUM's self-conception as a servant and visionary in society, in a world increasingly shaped by technology. He added that since the university's founding it has literally had "entrepreneurialism in its DNA". TUM is today considered Germany's most active university in terms of spin-offs. In connecting the home with the world, Herrmann continued, we find the true meaning of internationality associated with the mission of the sciences to achieve understanding among people beyond all political and religious boundaries. 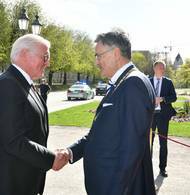 He went on to say that the vanguard position of the university is a collective achievement on the part of the human aspect of the university, those who from generation to generation have become an emotionally coherent family. "The key to the future is in our technical innovative power, which reconnects dynamically with the capricious challenges facing society." This is why the humanities and social sciences, including political science, are being integrated in the TUM teaching and research agenda, he said. 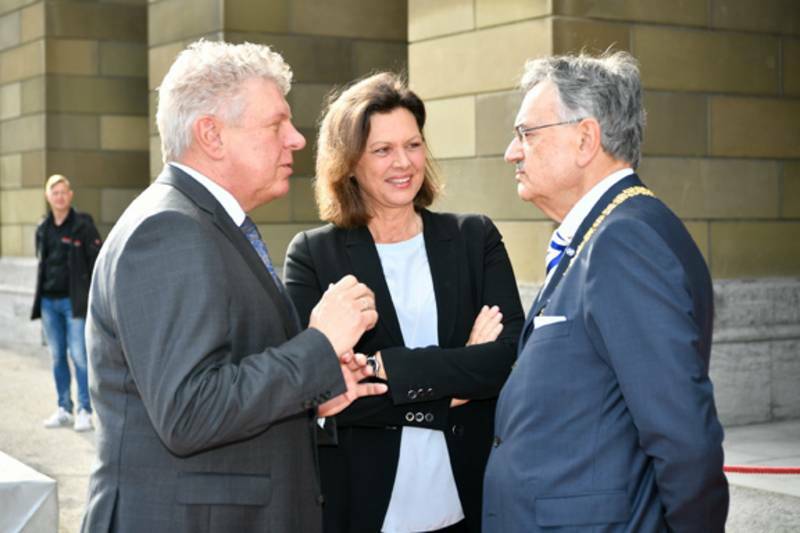 "Interdisciplinarity character is our guiding vision." 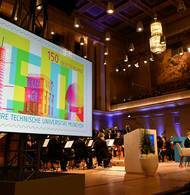 German Federal Minister of Finance Olaf Scholz presented the special edition stamp commemorating the TUM anniversary. 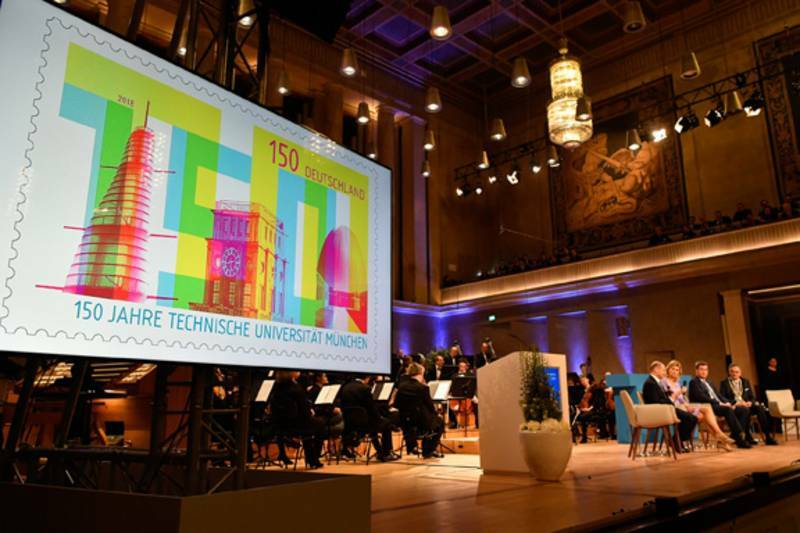 The 150 cent stamp shows three characteristic buildings in the history of TUM: the Oskar von Miller Tower of 2010, which collects weather data for research at the Garching campus; the legendary 1958 Atomic Egg, Germany's first research reactor, and the Thiersch Tower, symbol of the historical Munich main campus. On the occasion of the 150th anniversary, this clock tower, completed by Friedrich von Thiersch in 1916, has been renovated and is now also home to an impressive event space, the Tschira Forum. 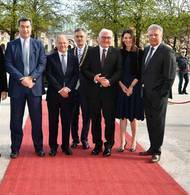 The Klaus Tschira Stiftung provided financial support for the work done on the historical monument. The Thiersch Tower can be visited during the "Architektouren" tours to be held on June 23 and 24. The Bavarian Minister of Science Prof. Marion Kiechle, Munich mayor Dieter Reiter, student representative Franziska Ochsenfarth, and Prof. Joachim Sauer from Berlin’s Humboldt University addressed the audience regarding the history and the future of TUM, hosted by television moderator Anouschka Horn. 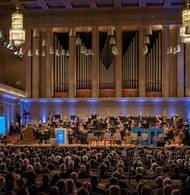 The musical portion of the ceremony was created by the Symphonisches Ensemble München, led by Prof. Felix Mayer. The Franz Hummel composition "TUM Festmusik" made its debut at the event. 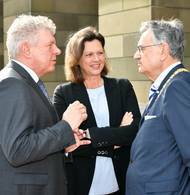 Since its founding TUM has embodied the successful model of German technical universities: a combination of fundamental research and technological development, in intensive exchange with industrial practice. 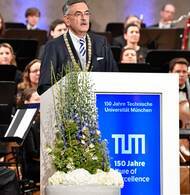 TUM President Herrmann: "Fundamental research wants to understand the world, while application research wants to shape the world. Both aspects belong together." 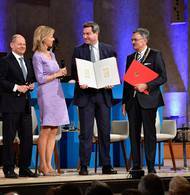 17 Nobel laureates among TUM professors and alumni attest to the groundbreaking performance in natural sciences and medicine. Ingenious inventors and thousands of graduates have made "German Engineering" famous around the world. Carl von Linde began the entrepreneurial tradition of TUM as a young member of the group of founding professors: He brought his refrigeration technology to market through his own company, today's Linde AG. 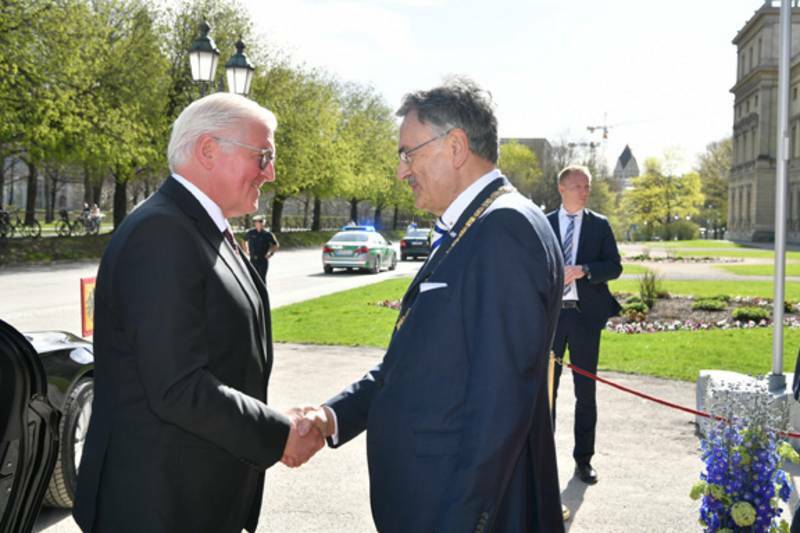 TUM has been a driving force behind innovation, from the epoch of industrialization all the way to today's age of digitalization. The program-controlled electronic computing system PERM (1956), the first German research reactor (“Atomic Egg”) completed in 1958, and the first transplant of two arms for an accident victim (2008) are only some examples of the highlights of an uninterrupted story of high-performance. 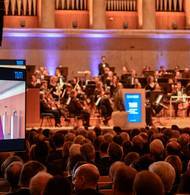 Over the last 20 years a new dynamic has emerged at TUM as the “entrepreneurial university". 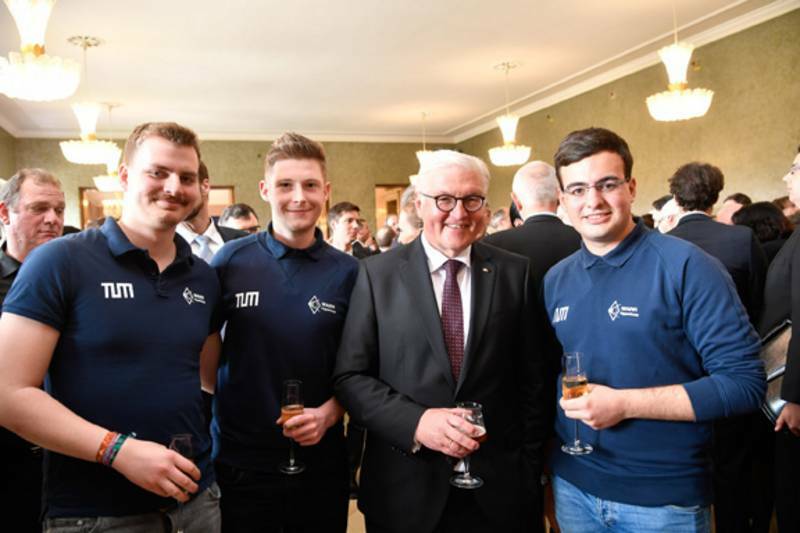 Far-reaching and extensive reforms in the recent past have made it possible for TUM to successfully compete alongside the world's best partners and rivals on an international scale. In the last 20 years more than 15,000 jobs have been created by TUM spin-offs. Currently a total of approximately 70 start-ups are created at TUM every year. The history of the university will be showcased starting today in the exhibit "Looking back through time – 150 years of Technical University of Munich". 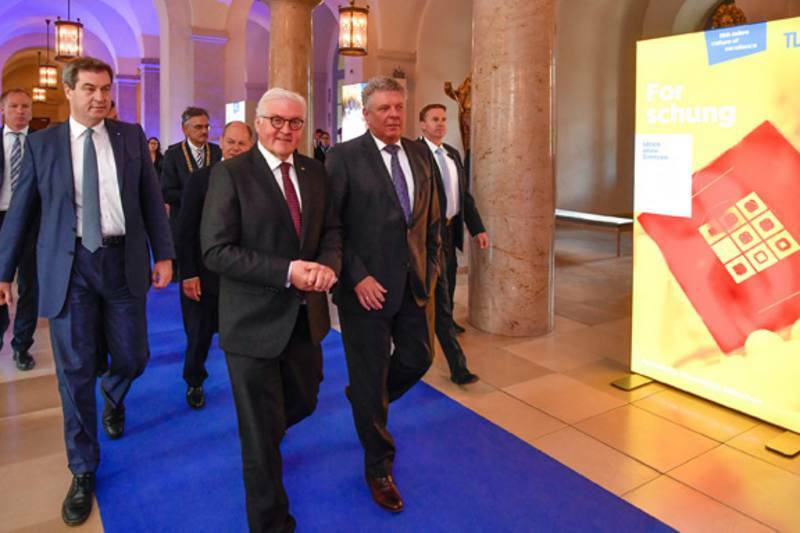 The exhibit, held in the TUM main building (Arcisstraße 21, 80333 Munich) will be open on normal business days from 8:00 am until 9:00 pm and runs until the end of the year. Starting on May 18, the Munich Documentation Center for the History of National Socialism will present a special exhibition presenting the history of the Technische Hochschule München (today's TUM) during the reign of National Socialism. Five new books published by TUM.University Press chronicle the history of TUM.